Take Care of Your Stone! 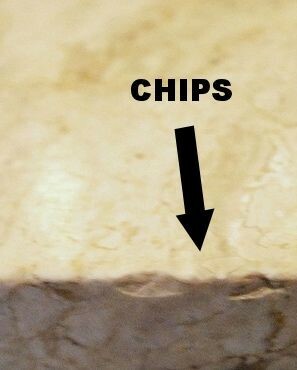 for many of the problems associated with stone. 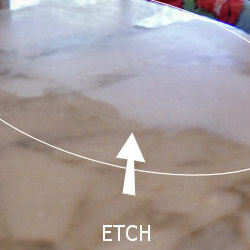 It's strongly recommended that you do not use common household cleaners on your marble and even SOME granites. 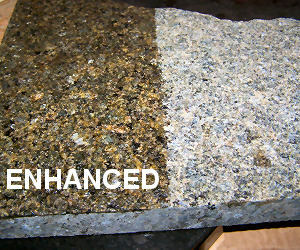 They are simply too harsh and can damage the beautiful finish of your stone. Use a stone friendly cleaner. 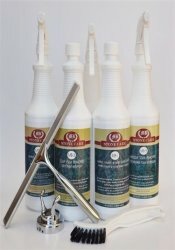 This one's a PH neutral cleaner that's safe to use on your stone 100 times a day! 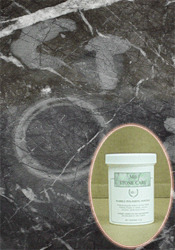 A sealer drastically reduces the natural absorbency rate of stone. It helps PREVENT deeply embedded stains by delivering a reaction time. The reaction time is how much time you'll have to blot the staining agent off of the stones surface before it begins to sink in. 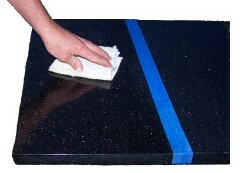 The better the quality of the sealer, the longer the reaction time will be. How does a sealer work? 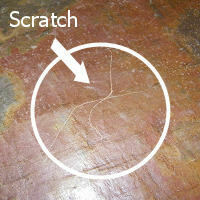 The sealer soaks into your stone - it does not sit on top of your stone! The carrying agent (solvent or water) evaporates. 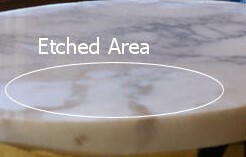 The resin stays inside of the stone partially clogging the pores. 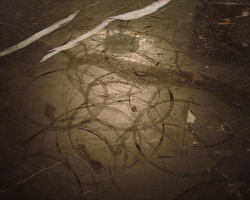 At the end of the sealing job, the surface of the stone is as bare as it was before the sealing procedure was started. 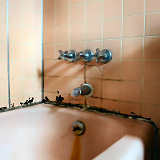 Mold and mildew signifies some type of moisture problem. Prevent excess moisture & moisture problems with these TIPS! Run the fan before, during and after showering or open the window to let out moisture. Leave the shower & bathroom door open for increased ventilation. 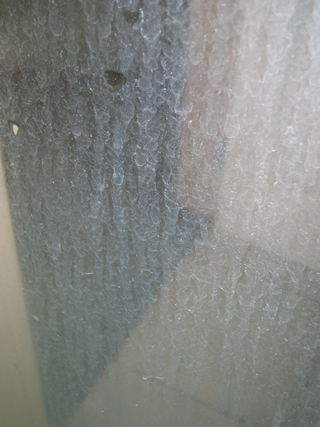 Squeegee after showering to remove excess moisture. 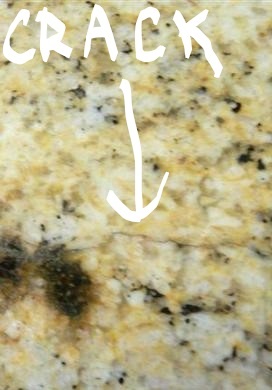 Repair and replace missing grout. Then seal it. Replace worn out & mildewy caulk with a mildewcide, 100% silicone caulk. 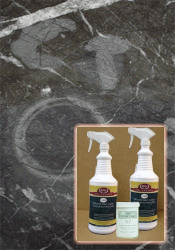 This product WILL clean up the mold & mildew as well as that smell but it won't solve any long term moisture problems. Mineral deposits are the mineral particles that are left behind as water evaporates. 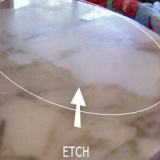 Over time, these paticles build up, cloud glass and reduce the shine on your stone. 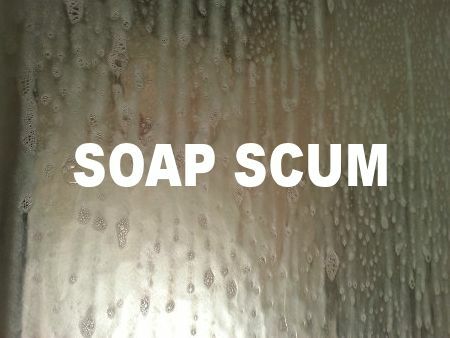 Use a squeegee or shammy after showering to remove excess water and keep these deposits from forming. Buy a shower filter to reduce these clingy particles! 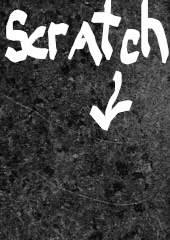 or just plain hard water deposits... we have a simple solution.